The following chapter outlines a typical developmental trajectory of children’s early number knowledge and counting skills. Using a series of anecdotal demonstrations of a young child’s emergent knowledge as a guide, the chapter first outlines the conceptual and procedural building blocks for counting and basic numerical skills, proceeds to an extended discussion of major conceptual achievements in counting, and concludes with a review of our emerging understanding on how to best support and facilitate the development of these skills. 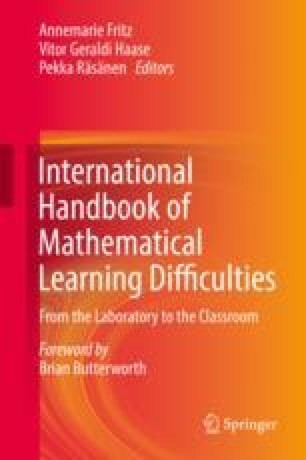 Throughout each of these sections, seminal studies are discussed to more clearly demonstrate the role of children’s intuitive number sense in the construction of natural-number concepts, specific challenges that children confront as they acquire the verbal count list (including several conceptual and linguistic obstacles that are often overlooked in early childhood curricula and assessments), and the effectiveness of low-cost, practical interventions that can be adopted by educators and parents to support and facilitate development.